This cutie is highly popular, and little girls love it, however, it is very tedious to make and takes close to an hour to complete. Sorry, no tutorial available yet for this one. 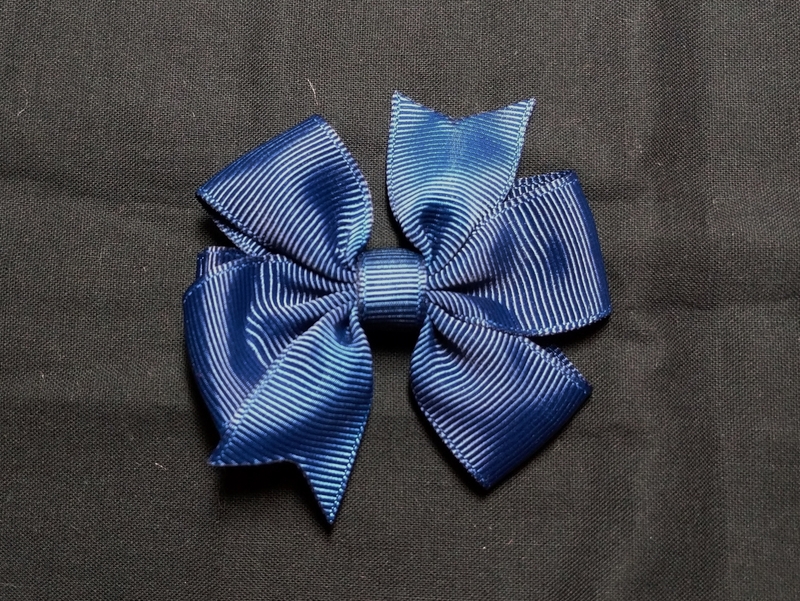 Please add a comment below if you’d like to request to see instructions on how to make this bow. 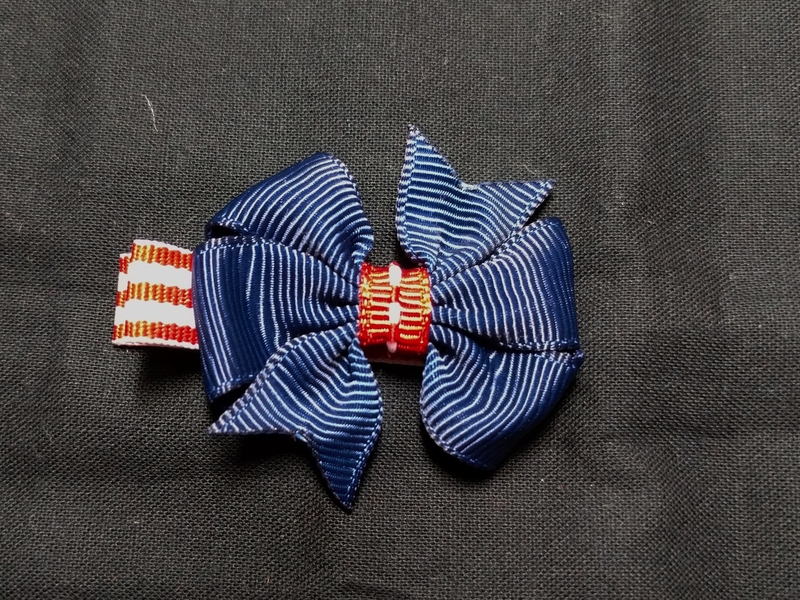 Wrap the 7/8″ ribbon around a 2″ template to form pinwheel shape with tails. Run needle and thread through center line, 2 stitches per piece of ribbon. Cinch, wrap tight, and tie off. Wrap and glue on center wrap. 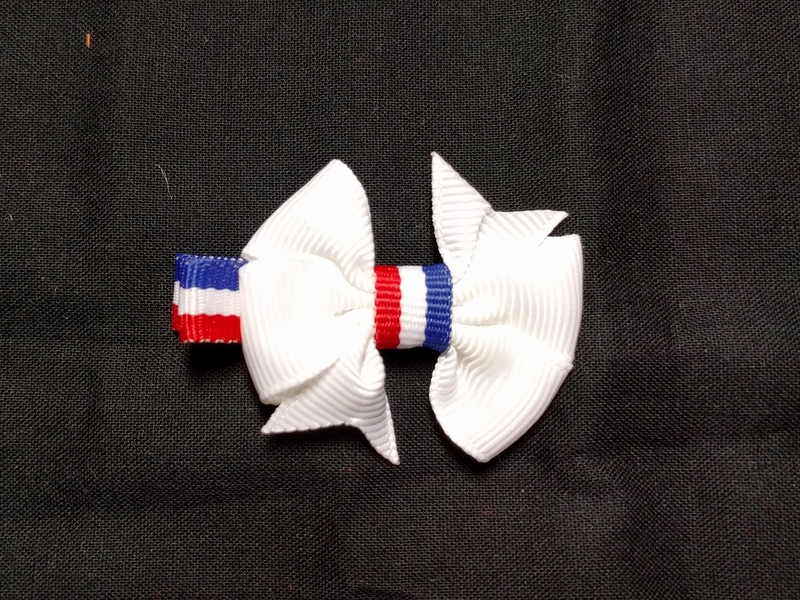 Glue to ribbon lined alligator clip. 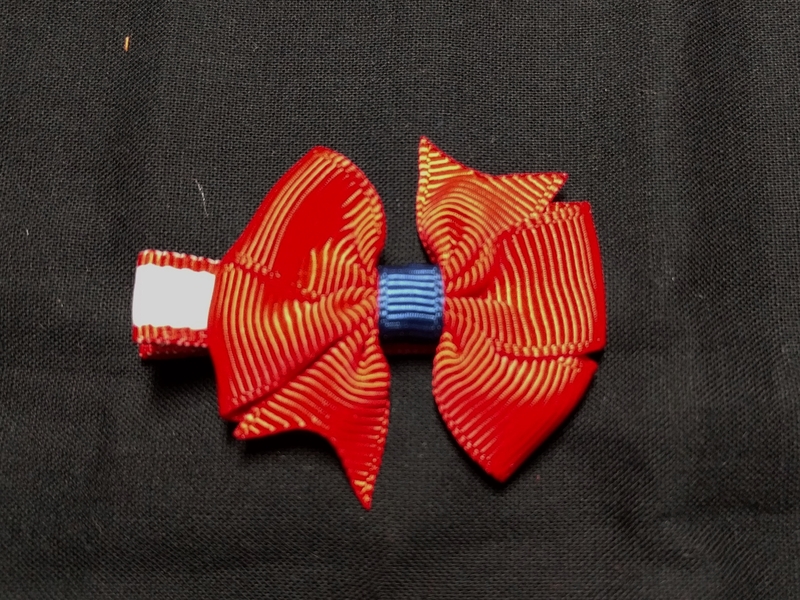 Wrap the 5/8″ ribbon around a 1.75″ template to form pinwheel shape with tails. I cut lots of pieces and placed in a bag as supplies to make more caterpillars, but I only made 1. Sorry, no tutorial available yet for this bow. 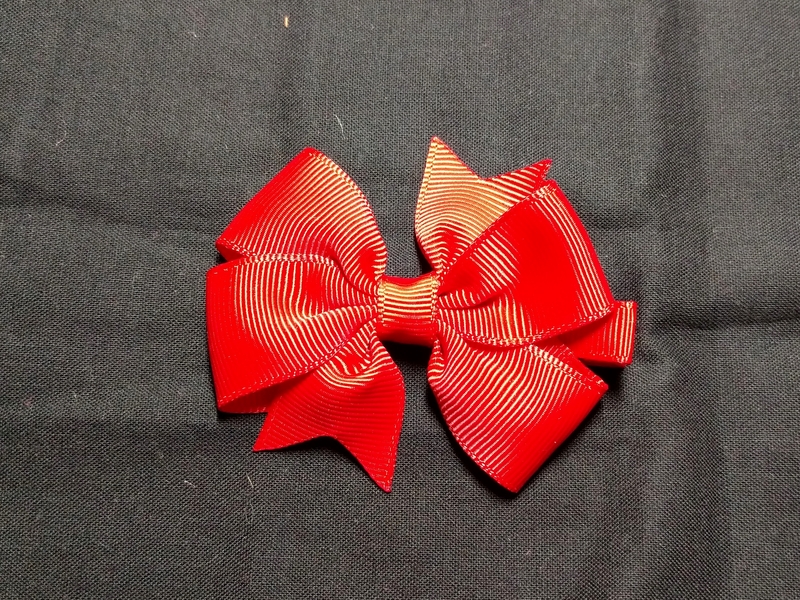 Please add a comment below if you’d like to request to see instructions on how to make this bow.